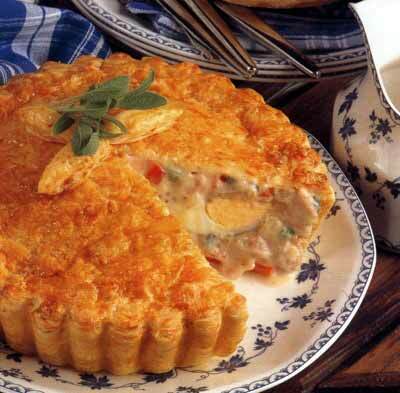 Wait till you cook THIS Impossible Chicken Pie recipe - you'll absolutely love it, and will return to this page again and again. Preheat oven to 180°C. Roast chicken for approximately 1 1/4 hours. When cooked, allow to cool and remove all chicken meat and chop roughly. In a large bowl, combine all ingredients and cooled chicken meat. Spoon mixture into a greased 25cm pie plate and bake in a 170°C oven for 55 to 60 minutes or until golden and firm. Allow to stand for 10 minutes before serving. Serve warm or cold with a tossed green salad. Note: This mixture can be cooked in a large greased loaf dish, or 10-12 individual ramekins. Timing may vary, so check until mixture is firm.